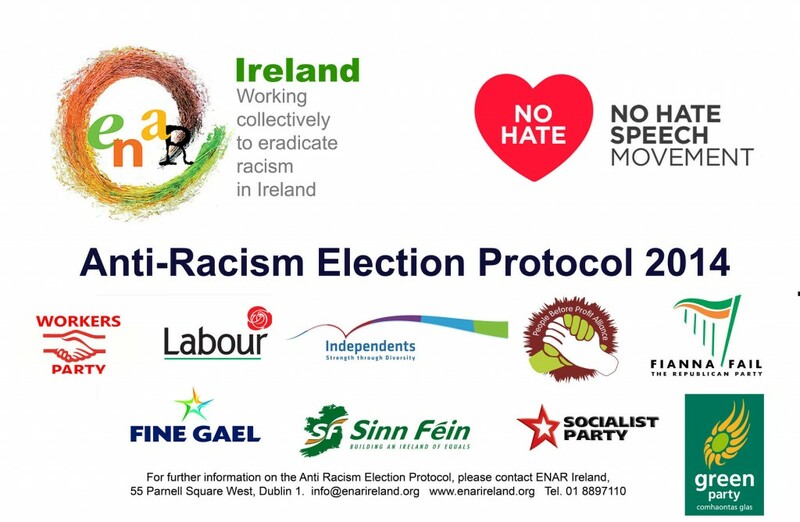 The Anti-Racism Election Protocol has played an important role since 2001 in ensuring that elections have been conducted in such a way that they do not incite hatred or prejudice on the grounds of ‘race’, colour, nationality or ethnic or national origin, religious belief and membership of the Traveller Community. Political parties that have previously endorsed the Protocol include Fianna Fáil, Fine Gael, the Green Party, the Labour Party, Sinn Féin, the Socialist Party, the Workers’ Party, Libertas, and People before Profit. 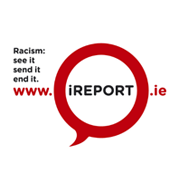 The European Network Against Racism (ENAR) Ireland is inviting political parties to demonstrate and renew their commitment to anti-racism by signing this updated declaration as an indication of their own personal support and endorsement of the Protocol. Large Anti-Racism Protocol Banner for politicians to sign. Speech bubbles with party logos and slogans ‘Our party says no to racism’ / ‘Our party rejects racism’. Signatories will also be invited to write their own messages. Speakers from ENAR Ireland network and political parties.